Being included in Katherines Corner Between The Lines Series this week means a lot. 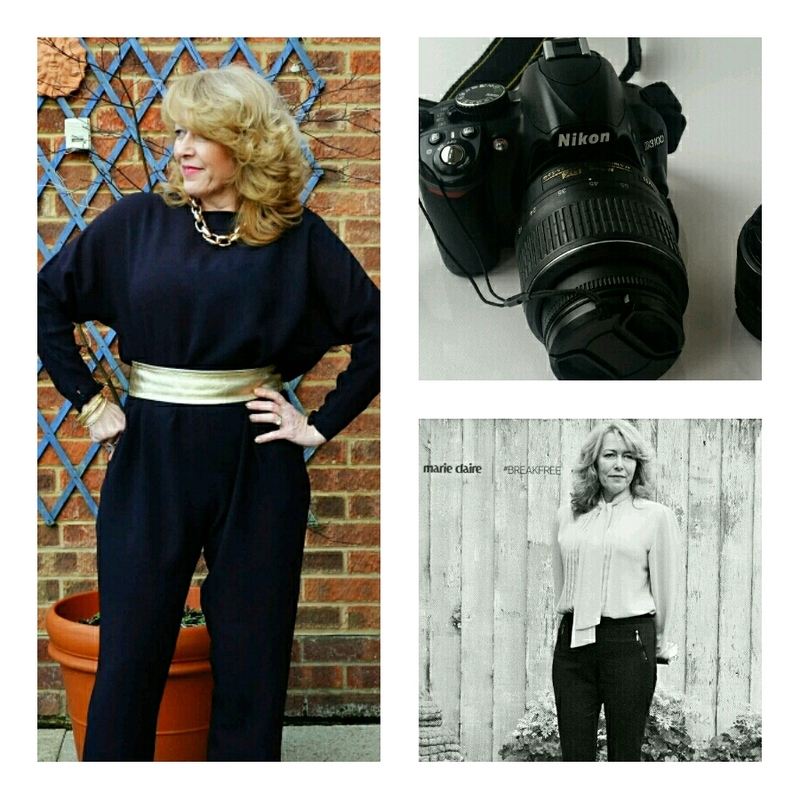 Katherine has set up a series of post’s each week to feature us female bloggers over 50. This week it’s my turn and I thought if your a new reader, I would tell how this blogging malarkey came about. These are the first photo’s taken for the blog, taken on a well out of date mobile phone. I thought it was going to be so easy ! After reading a magazine article about a mature lady who had started a fashion blog, it got me thinking. I could do that ! I had never even sent an email before ! I just thought I had some spare time on my hands, and it would be good to learn. After all, I have always loved fashion, and being a hairdresser/ beauty therapist I could share my thoughts and share some tips. Little did I know how hard blogging was going to be, and how time consuming it actually is. But this is my baby, one that I feel I have shed sweat and tears over and I wouldn’t change a thing. I have worked hard, and rewards have been good. I have made some great friends, worked alongside brands, got my first blogger award and been to and seen some amazing things that I wouldn’t have if not for writing this blog. I like to write mainly about bargain finds, I don’t spend huge amounts of money on clothing, I get far more joy out of finding that gem of a bargain and writing about it. Also I like to write about beauty, and places that I visit in London. I think Katherine’s Idea of putting all of us ladies in our 50’s under one roof to explore is such a fabulous Idea.. So please pop over and read the answers to the questions Katherine has asked me. Also I love hearing from you too. Stopping over from BTL week 8 to say hello. I love your fashion sense! You make it seem so easy to pull together a stylish outfit. Taking notes! Hello from a fellow Between the Lines blogger! I had to smile when you said you decided to start a blog even though you had never sent an email. I decided to start blogging even though I had never read a blog! 🙂 I love your tagline: "…FOR THE MORE MATURE WOMAN NOT READY TO HANG UP THE HIGH HEELS…" — it's perfect! Looking forward to reading more of your posts and getting to know you! Love this post. 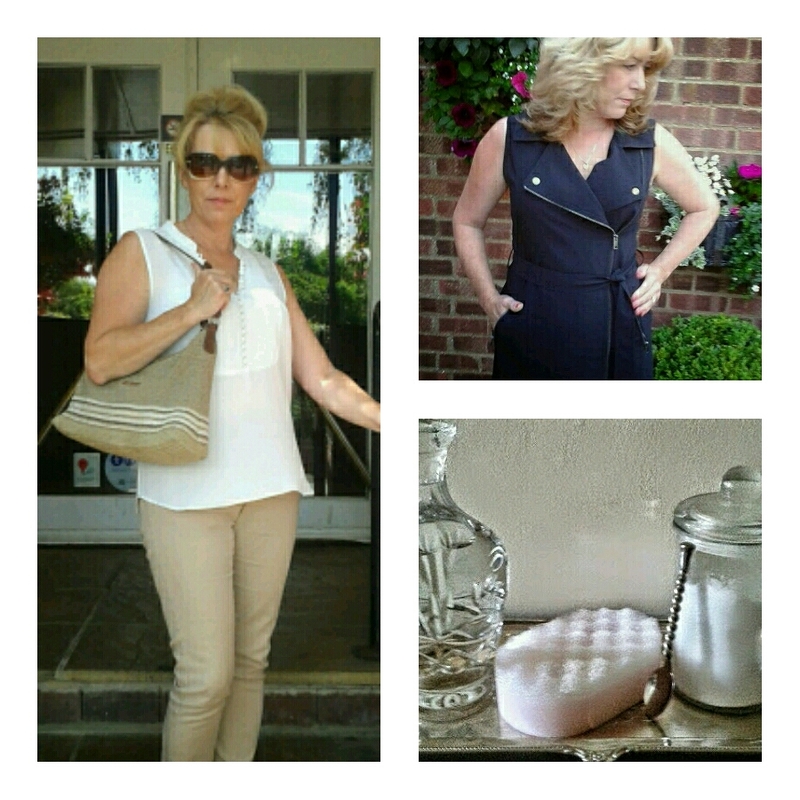 Yes, we over fifty women need to be seen in fashion too! It's good to read your story today Laurie. Well done with the progress you've made and the accolades you're received too. Your new blog format is sleek and reflects your sleek, elegant style too. Congrats on your feature and I will stop over and check out the post. Such a great idea for a series! I'm almost 50 myself, so I'm enjoying getting to meet all of you. Thanks so much for linking up with Style Perspectives this week! It's nice meeting you, Laurie! I'll be featured in week 10 of this wonderful series and I really enjoy meeting all the wonderful bloggers of that "certain age". I've always loved to keep up with fashion, to a degree; but around the house I'm usually in my grubs because I'm painting or rearranging something or another. I love a cool jumpsuit! Thanks so much for being a part of Fun Fashion Friday! I think you're doing a fabulous job! Your blog is looking more awesome every time I pop over! Great Between the Lines series. You deserve the feature. So many put-together, stylish and elegant outfits here. Every single one is great but I love that whole black look. So chic! I am a huge fan of black too as my current outfit also testifies. Take a peek below. I think you would like it. Black for the win!! Hello from a fellow week 6 Between The Lines over 50 blogger. I, too, thought that blogging would not be very difficult but it has been a huge learning experience. I love the connections I've made with other bloggers such as yourself. I look forward to reading more of your posts. 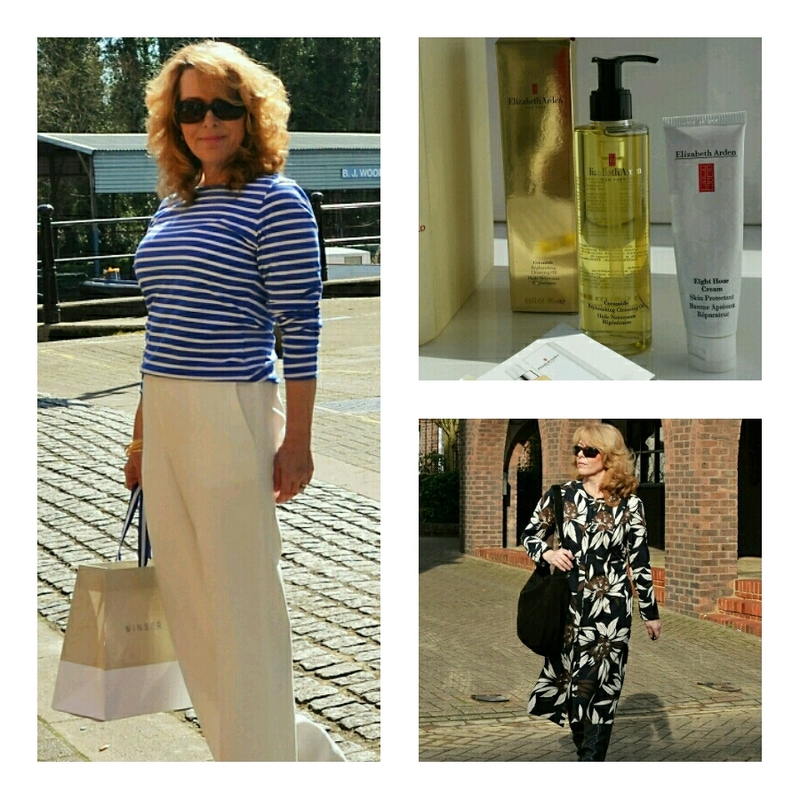 Nice to meet another 'over 50' blogger crazy about fashion! I was once in the fashion industry for many, many years. It's still a big part of who I am and I cannot even total up the amount of money I spend on fashion every month! I look forward to reading your blog and your fashion advice. Laurie – hello from Between the Lines week 6. I love fashion blogs featuring women in our age group. Yours is beautiful and so are you! Congratulations on your hard work and success! I love your fashion sense! I too could use so much help! I'm Nancy from Nancy On The Home Front one of the fellow bloggers in the series! Certainly look forward to reading more of your blog! Very inspired by your blog Laurie! I will be popping over to read the "Between The Lines' – so interesting to read how other bloggers got started. Hello from Between the LInes week 5. I have read your blog a couple of times in the past and enjoyed it. I look forward to getting to know you better through this adventure. I really like know that we all have something in common. Larie your blog is great and your photography skills have really improved. That has to be a cannon, if you can't imporve your photo skills as a blogger you are in trouble. It was so nice to read about your journey and to be featured in Marie Claire is a highlight for sure! Laurie, at 54 I have found fashion to be a bit difficult at this stage of life. In fact, I believe I have even pinned some of your fashion ideas. You do a fantastic job making us ladies of a certain age look amazing! I'll be visiting family in England later this year – hoping for a brief visit to London, and some trips to bargain stores with my mum.